Number of important properties of the Laplace transform are discussed in this section. 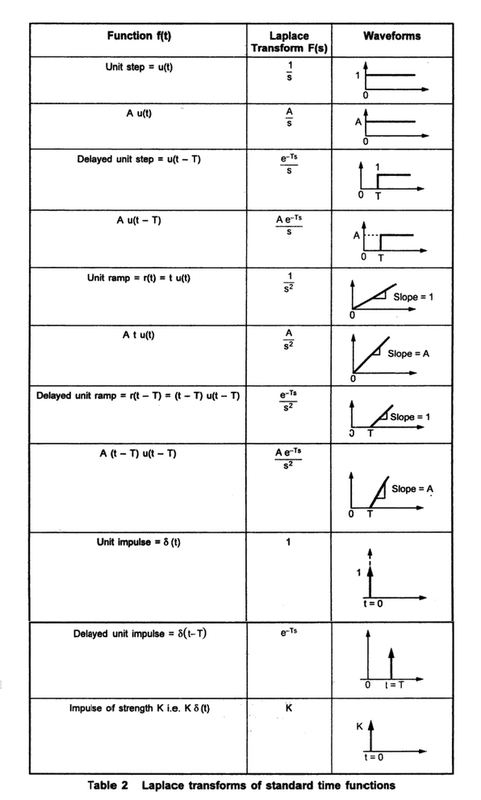 The table of Laplace transform pairs is developed using these properties. The transform of a finite sum of time functions is the sum of the Laplace transforms of the individual functions. The property can be further extended if the time functions are multiplied by the constants i.e. Where a1, a2, ……………, an are constants. If K is a constant then the Laplace transform of K f(t) is given as K times the Laplace transform of f(t). Where f(n-1)(0-) is the value of (n-1)th derivatives of f(t) at t= 0-. 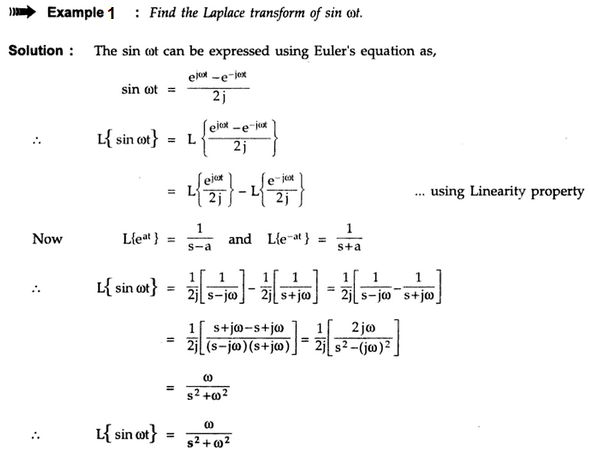 This property is most useful as it transform differential time domain equations simple algebraic equations, along with the initial conditions, if any. If F(s) is the Laplace transform of f(t) then the differentiation by s in the complex frequency domain corresponds to the multiplication by t in the time domain. Where F(s) is the Laplace transform of f(t). This theorem is useful to obtain the Laplace transform of the shifted or delayed function of time. The only restriction is that f(t) must be continuous or at the most, a step discontinuity at t = 0. The only restriction is that the roots of the denominator polynomial of F(s) i.e. poles of F(s) have negative or zero real parts.